In 1984, we began selling carpets, rugs, underlays, speciality door bars and stair rods, from retail premises in Derby. 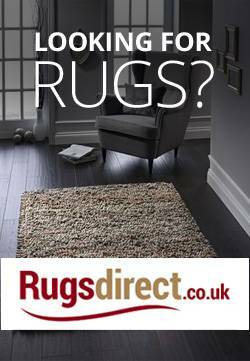 And we’ve been trading online, under the brand name Rugs Direct, since 1998, in the very early days of e-commerce. We have accumulated a wealth of knowledge helping our customers choose appropriate floor coverings and accessories to suit specific locations, as well as many years’ experience fitting and measuring carpets, hall and stair runners and stair rods. Building on this expertise, our aim remains to offer you the widest possible choice, the convenience of online shopping, and all of the help and advice you might need. We source products from around the world, and work with manufacturers to meet our customers’ wide and varying tastes. In fact, you’ll find that many of our products are unique to us and not available from any other online or high street retailer. As our product range increased, we recognised that we could make it easier for you to find the products and information you’re looking for. So, early in 2009, we created Stair-Rods Direct as a separate entity, to focus on everything you need to create a beautiful stair case. We’re passionate about our products and committed to giving sound, impartial advice and prompt service to our customers. And we’re keen to share our knowledge with you, so we'’'ve written easy to follow How To guides to help you to measure and fit stair runners, stair rods and door bars yourself. We also appreciate that, sometimes, there’s just no substitute for a real conversation, so we feature our telephone number prominently throughout our website. Whether you simply want to chat about any of our products or need swift, specialist advice, we really do look forward to your call, so please don’t hesitate to pick up the phone.